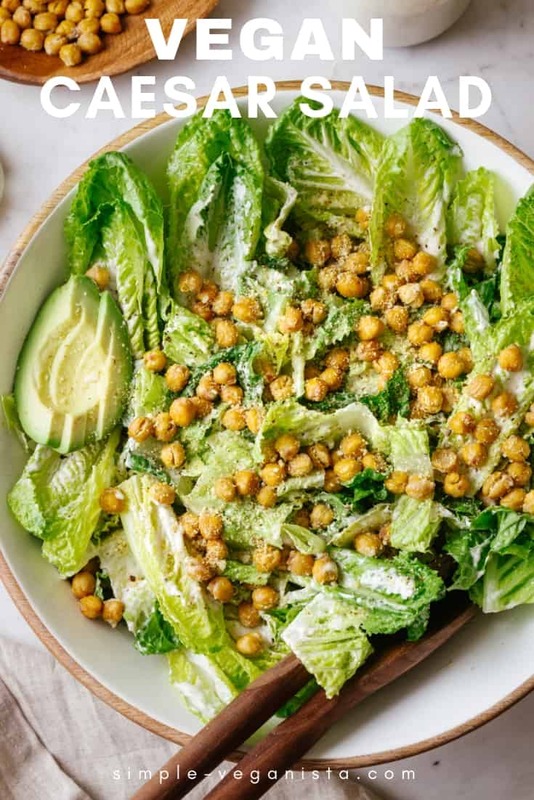 This Vegan Caesar Salad is so easy to make and an absolutely favorite of mine! 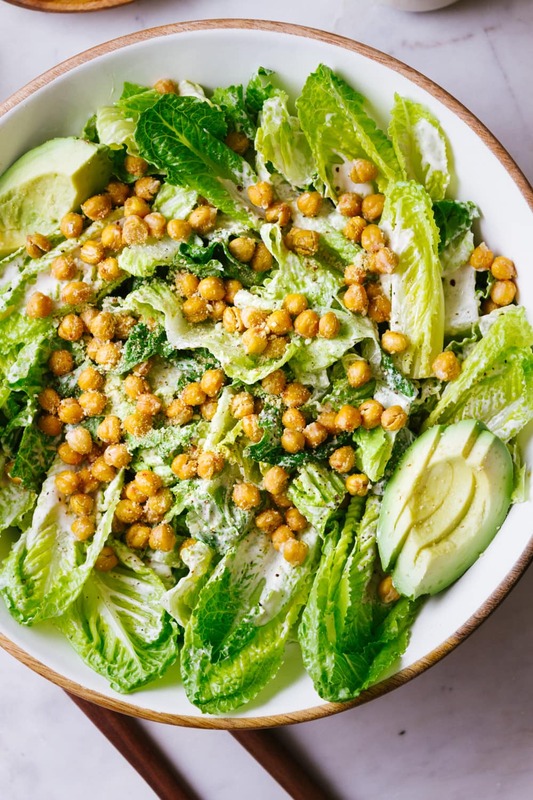 A rich and creamy roasted garlic Caesar Dressing, tossed with fresh romaine, and topped with crunchy homemade garlic chickpea croutons, almond parmesan and side of avocado for an amazing vegan salad! 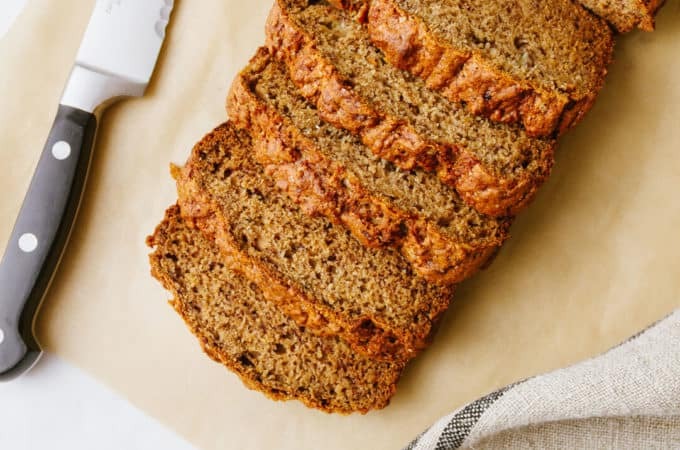 The ingredients are simple, accessible, dairy and egg free. Caesar salad makes a perfect lunch, dinner, or make ahead meal. Or serve as a small appetizer or side to your favorite pasta dish, like this Ultimate Vegetable Lasagne or Simple Cheese Manicotti. 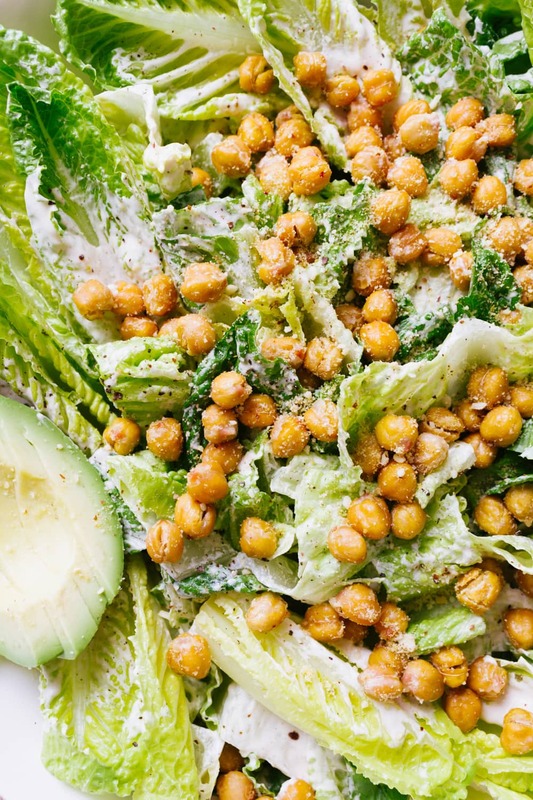 What’s in a Vegan Caesar Salad? Caesar salad is a simple dish that can be changed up a variety of ways, creating something wonderful to suit your taste. 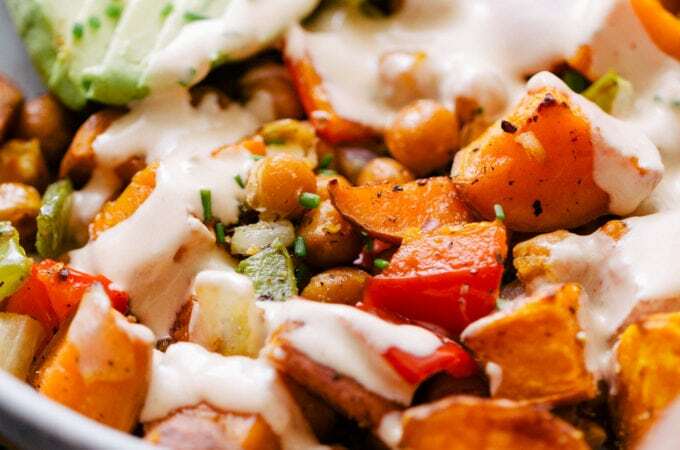 I love adding sliced avocado for extra creaminess, and of course you can change up the garlic chickpea croutons adding traditional bread croutons instead. Dressing: Caesar salad dressing is tangy, rich and creamy. The tang is from the lemon or apple cider vinegar, and the richness is from the worcestershire, briny capers and roasted garlic. Romaine lettuce: Romaine lettuce is crisp and crunchy with a mild, slightly bitter taste that’s delicious. 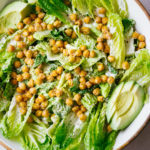 Croutons: Typically Caesar salad includes croutons, but we’ll be making homemade garlic chickpea croutons instead, adding a crispy texture and protein to your caesar salad. Parmesan cheese: We’ll be using a non-dairy, vegan Almond Parmesan. 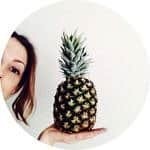 It’s a delicious vegan cheese that pairs perfectly with the tanginess from the caesar salad dressing. 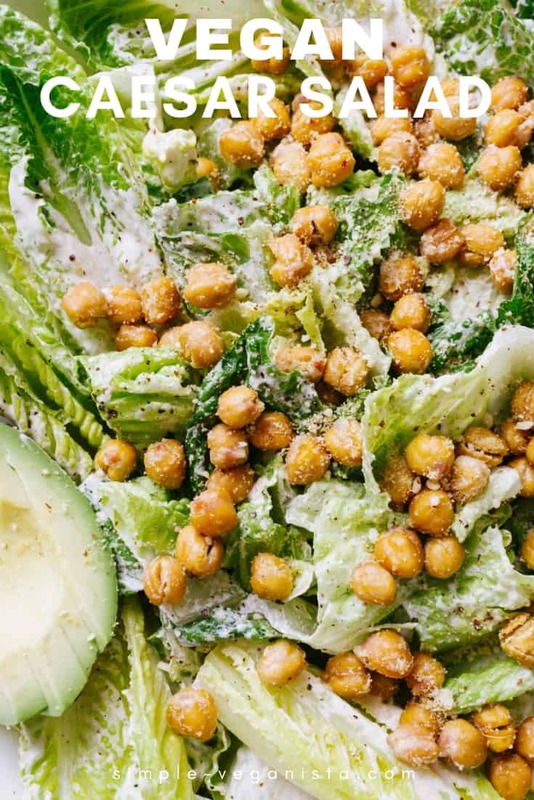 A vegan caesar salad is super easy make, the only thing that takes time is the garlic chickpea croutons, but once those are done, the rest is ready in 5 minutes! Chickpea Croutons: Preheat the oven so its nice and hot. 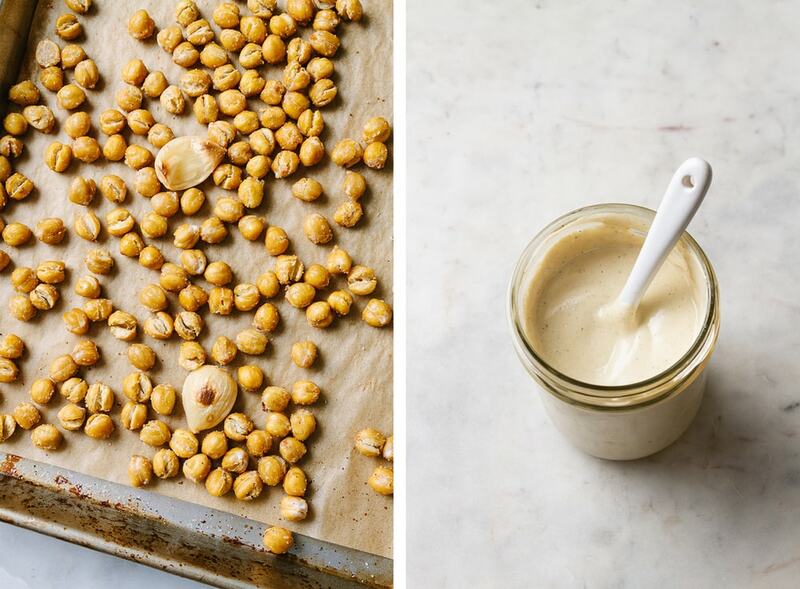 Make sure the chickpeas are mostly dry and remove any of the skins that peel away during the drying process. Simply place them on the rimmed baking sheet, drizzle with oil and spices, and toss. Add the garlic (for the dressing) and bake for 35 – 40 minutes, stirring occasionally. 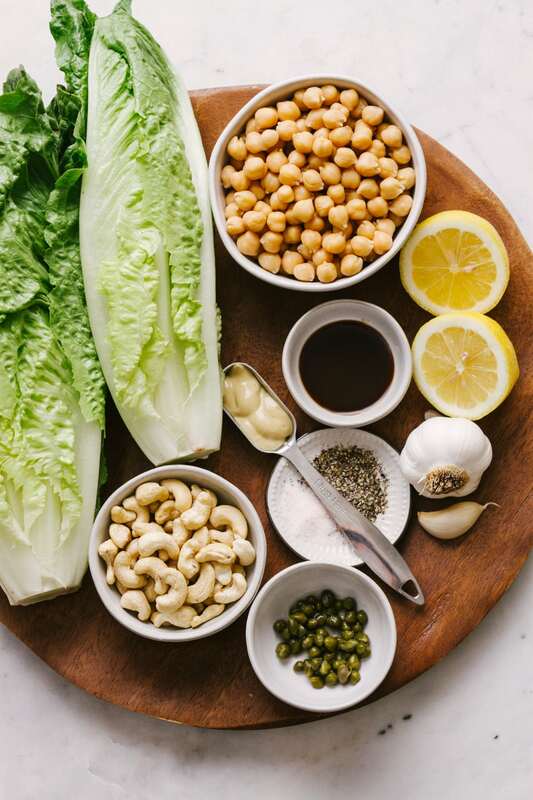 Caesar Dressing: Soak the cashew for 5 minutes in hot water (this can be optional). Place the cashews, roasted garlic, capers, dijon, vegan worcestershire, lemon juice, salt & pepper, and blend until creamy smooth. Taste for flavor. Dressing can be made ahead and stored in the refrigerator for up to 6 days. 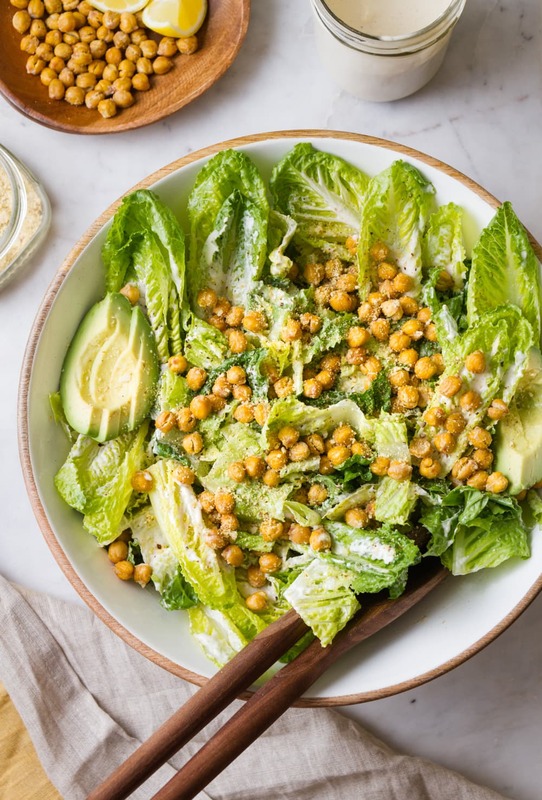 Assemble: Chop the romaine, add to a large mixing bowl, and toss with the Caesar dressing (you may have leftovers), top with chickpea croutons and healthy sprinkle of Almond Parmesan. Serve with optional sliced avocado. And that’s it, a fabulous vegan Caesar salad to enjoy often! Salads are a great way to include fresh veggies and fruits into your diet. 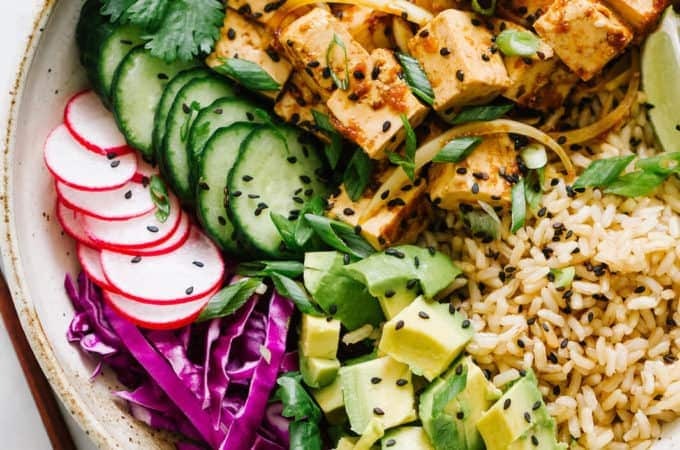 Take a look at these other vegan salads, you just may find a new favorite for the meal rotation! Looks delicious! Just one question about the roasted garlic. Skins on while roasting? Looks like it in the pic but just want to make sure! Thank you and great question! Actually, I peeled, making it easier to add to the blender for the dressing. But you could just as well leave the skin on, as they should squeeze out of the skin fairly easy, they’ll just need to cool a bit first.